PORTLAND, OR — Nominations are open for Ecotrust’s 10th annual Indigenous Leadership Award, recognizing native leaders dedicated to improving the social, economic, and environmental conditions of their homelands and people. In the words of Janeen Comenote, 2009 honoree, “Part of what being native is, is giving back to your community.” Since 2001, Ecotrust has recognized 43 tribal leaders from Oregon, Washington, California, western Montana, Nevada, Idaho, Alaska, British Columbia, and the Yukon Territory who have been giving back to their communities by working to improve their resource base, cultural base, economic security, or health and wellness. The 2011 nomination deadline is July 15th (extended). A panel of Ecotrust staff and tribal leaders will narrow the nominations to the top five, from which a jury of senior tribal leaders, Sampson, and Spencer Beebe, president of Ecotrust, will select the finalist. The finalist will be awarded $25,000 and the honorees $5,000 to continue their work in improving conditions in their communities. 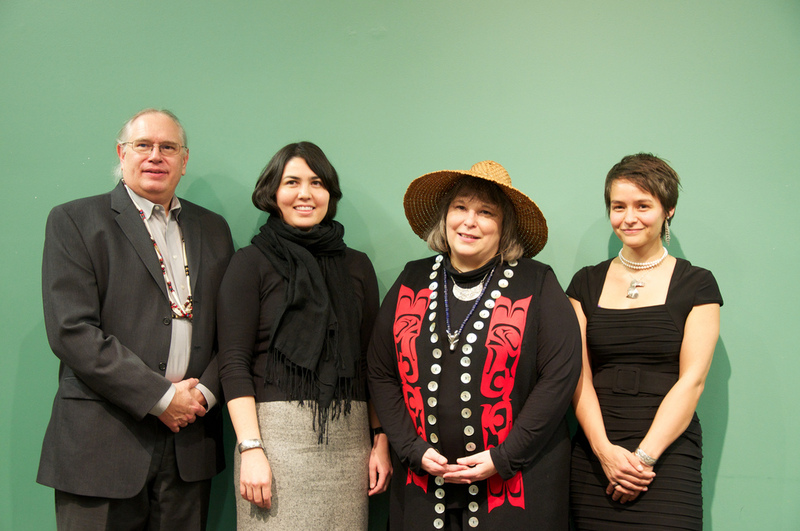 The 2011 award will be held November 2nd at the Portland Art Museum and coincides with the National Congress of American Indians National Convention, held this year in Portland. All are welcome to attend. Past honorees’ work includes language preservation, tribal sovereignty, filmmaking, education, weaving and basketry, environmental justice, and political leadership. Last year’s finalist, Kim Recalma-Clutesi, was recognized for her work as an activist, cross-cultural interpreter, reporter, and ethnobotany teacher and academic researcher. Ecotrust’s mission is to inspire fresh thinking that creates economic opportunity, social equity and environmental well-being. Since 1991, we have converted $60 million in grants into more than $300 million in capital for local people, businesses, and organizations from Alaska to California. Ecotrust believes that tribes and First Nations are more than an ethnic or minority demographic; they are nations and representative governments, major landowners, committed co-managers in natural resources, and major drivers of local and regional economies. Tribes, First Nations, and Alaska Natives hold long-range vision, sustainable societal values, and a history of the land and marine terrestrial ecosystems that provide a sense of place in the growing global economy. More on the web at www.ecotrust.org. 2010 Indigenous Leadership Award honorees: Left to right: Terry Cross, Sandra Sunrising Osawa (represented here by her daughter, Saza Osawa), Kim Recalma-Clutesi, and Jessie Housty.